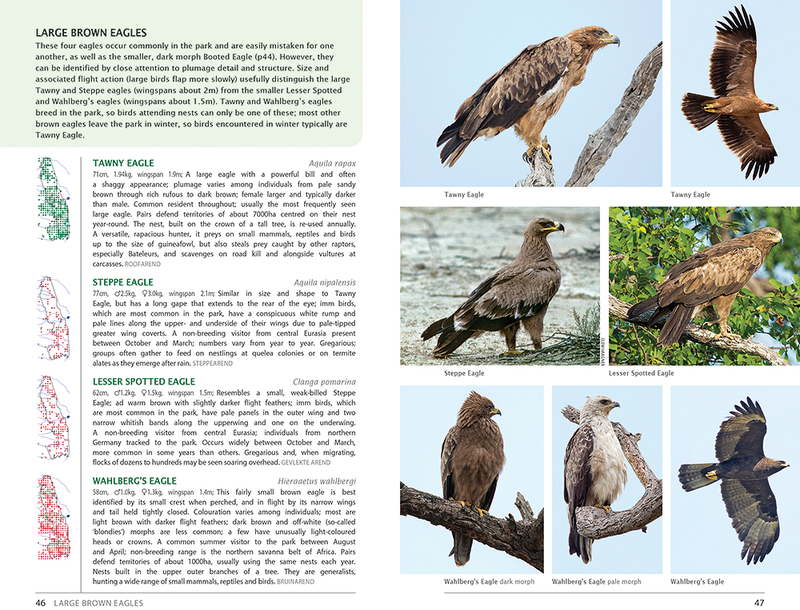 A new book, Guide to Birds of the Kruger National Park, published by Struik Nature, describes and illustrates more than 400 species of the approximately 500 species recorded in the Kruger National Park. 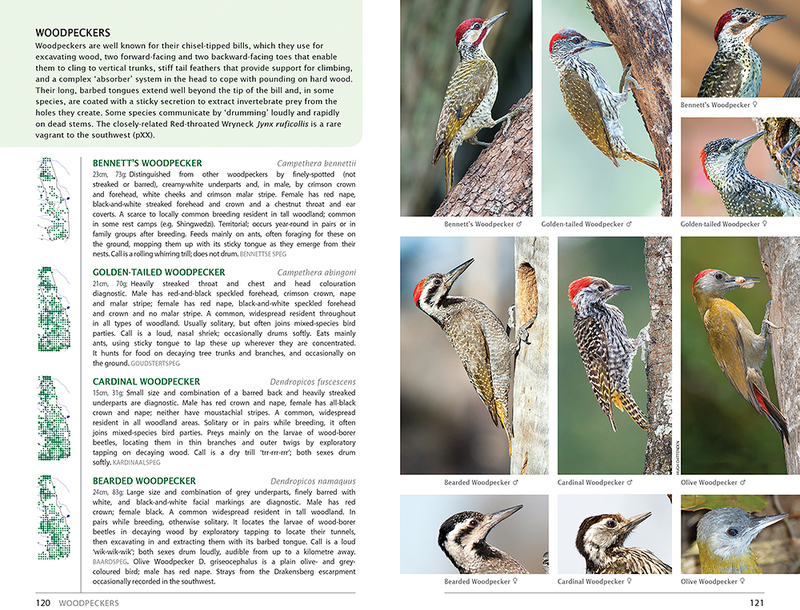 It provides up to date distribution maps for each species and includes over 600 colour photographs. The cover and some sample pages are illustrated below. 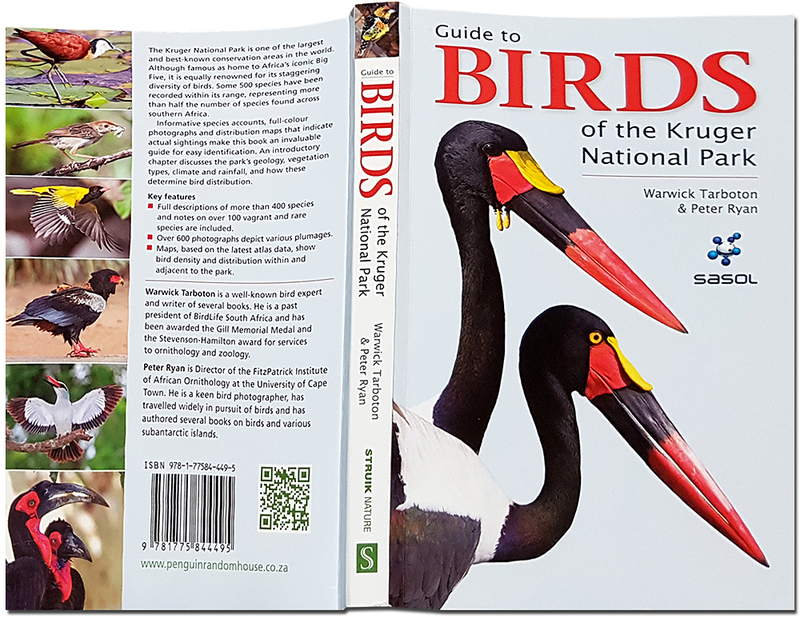 Books are available in book stores in South Africa and Struik Nature's recommended retail price is R280.00.